It’s bright and early on a Friday, and everyone is jovial. Not just because we’ve been lucky enough to enjoy another golden Carolina morning. And not just because most of us are looking forward to a couple days of downtime. No, today is different. 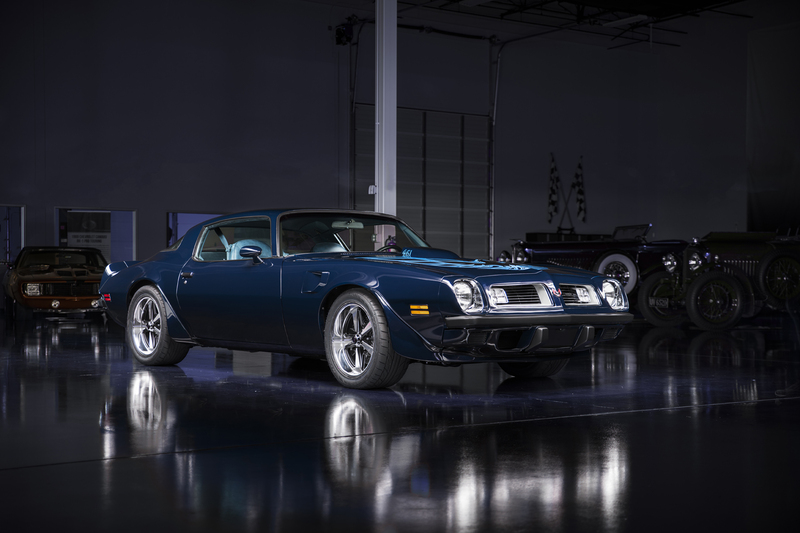 Today is the day when the owner of our 1975 Pontiac Trans Am build gets to enjoy the RKM Performance Center’s latest and greatest creation. And enjoy it he will, as he’s flown to Charlotte to slide behind the wheel and kick off an epic road trip to the hills of Colorado. As you likely remember, we finished the car back in March. But, since we knew its owner would be embarking on a major cross-country trek, we decided to take ample time making sure everything was fully sorted. Sorting and tweaking a build is vital to a fulfilling ownership experience, and we cannot stress that enough. 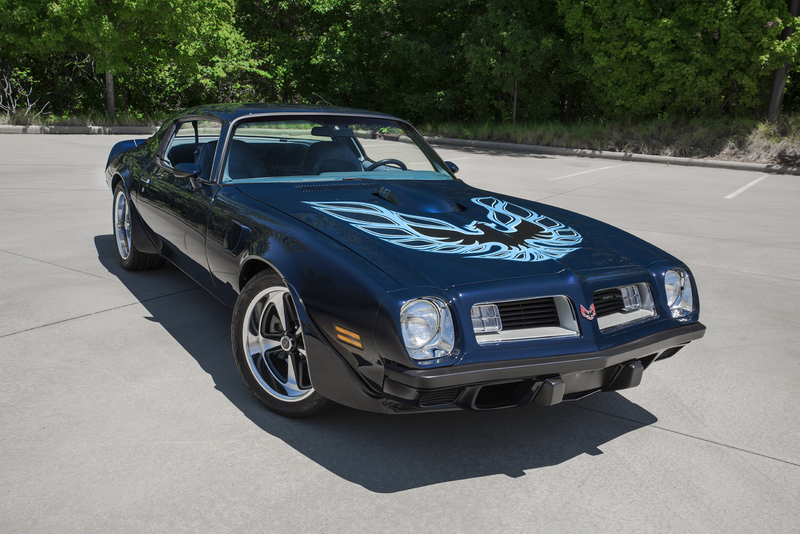 Think about it, when you decide to restore something like this sweet Pontiac, you’re taking a 40-year-old car and stuffing it with acute technology that’s sourced from a variety of manufacturers. While the end goal is the same for everyone, that technology wasn’t necessarily designed to work as a cohesive unit. Additionally, the technology is often much more advanced than the equipment its replacing, adding a whole new layer of frustration. More to the point: nothing is plug-and-play, and there’s no such thing as a flawless build. Every restoration has a few issues to iron out, that’s just the nature of the hobby. 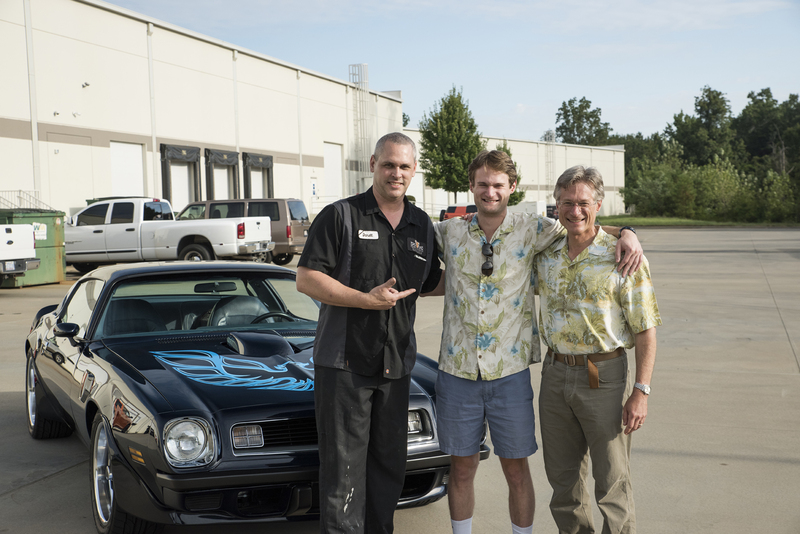 That’s why Service Manager Jon Sipple and Fabrication Manager Darell Johnston have spent the last four months calibrating the car over roughly 400 miles of sunny day driving. They wanted to be certain that, on this eventful Friday morning, the Trans Am is reliable and ready to roll. That reliability has been hard-fought. Sixteen and looking for a fun project, the coupe’s owner purchased it as a solid, original driver. Thing is, despite multiple mechanics and quite a bit of loot, the car never really lived up to its full potential. When the time came for college, the owner decided to mothball his project in a family garage, and that was pretty much the end of things. That is, until his family found RK Motors Charlotte. When it came to specifics, the owner didn’t really have much in mind. 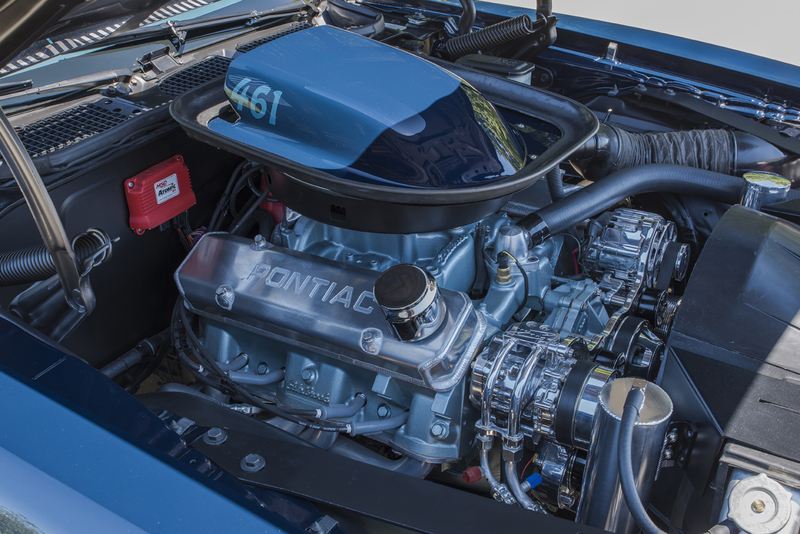 In fact, his parameters were essentially what all enthusiasts want in a pro-touring classic: something fast, something that handles and something that doesn’t stray too far from Pontiac’s handsome factory digs. Now, around the RKM Performance Center, vague and general requests aren’t much of a problem. I mean, we know cars. Sipple races a 9-second Hellcat Challenger in his spare time. Johnston builds ground-up customs in his spare time. And that’s not even considering the projects, time and world-class experience accumulated by the rest of our talented staff. After meetings, discussions and ample notes, two phrases started summing up the build: “enhance everything about the car” and “build the pro-tourer you would want if you had this budget”. 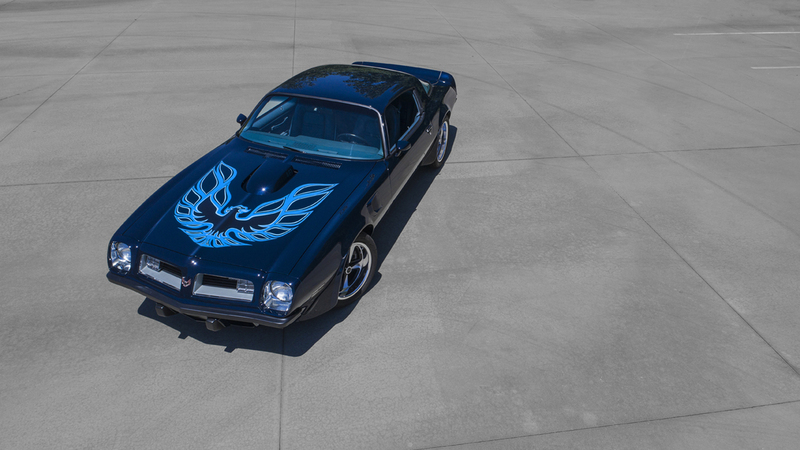 The Trans Am’s owner wanted something that would be comfortable to cruise, but also fun on the autocross course. With that in mind, a full Detroit Speed suspension, a heavy-duty Detroit speed axle and 18-inch Rally II replicas would make the car plenty athletic. The main factor in building a comfortable cruiser is choosing a correct drivetrain. The Detroit Speed axle, equipped with 3.55 gears, would play well with a Tremec TKO600 5-speed that featured carefully selected ratios. 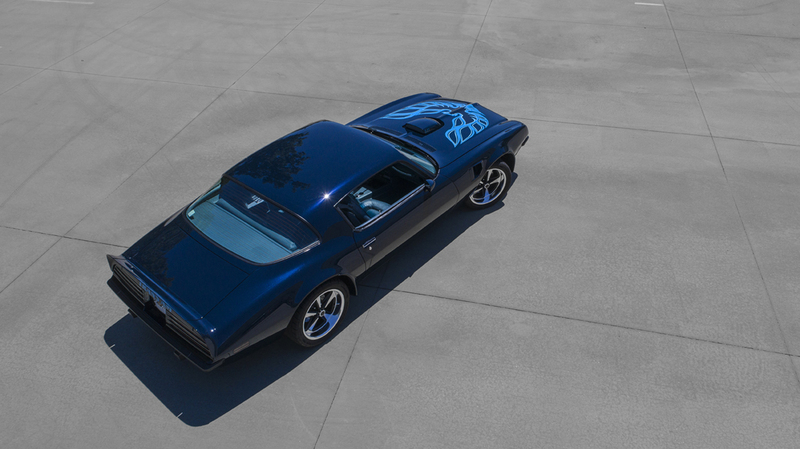 Tossing aside the car’s numbers-matching Pontiac V8 would be blasphemy, so we ordered a Butler Performance stroker kit, added MSD Atomic fuel injection and dyno-tuned the mill to 479 horsepower. And to counter that power, we installed heavy duty Baer brakes. 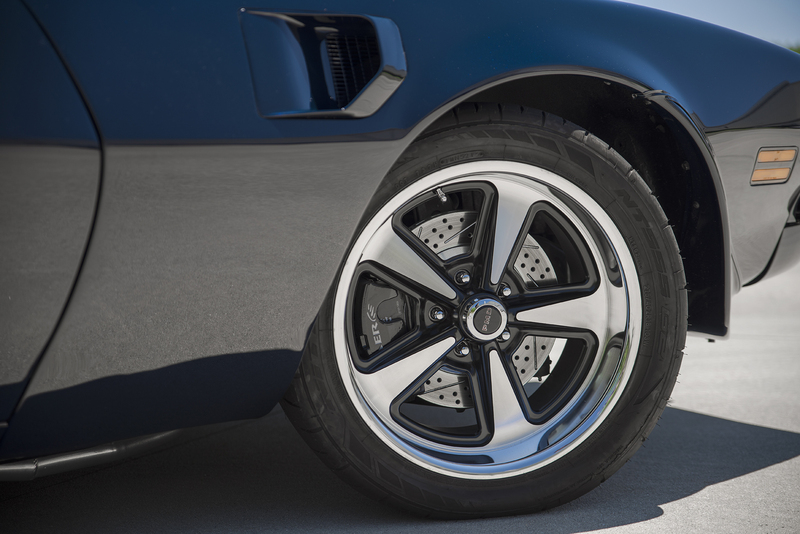 According to Sipple and Johnston, the two dominant characteristics of this Trans Am are comfort and control. It has much better manners than our more extravagant builds, like the RK527 Mustang we took on Power Tour a few years ago. It sticks in turns, provides drama-free jaunts down off-ramps and, unlike RK527 with its monster Boss 9 Hemi, doesn’t require a highly skilled driver to extract the bulk of its performance potential. That’s the magic of a true pro-tourer. 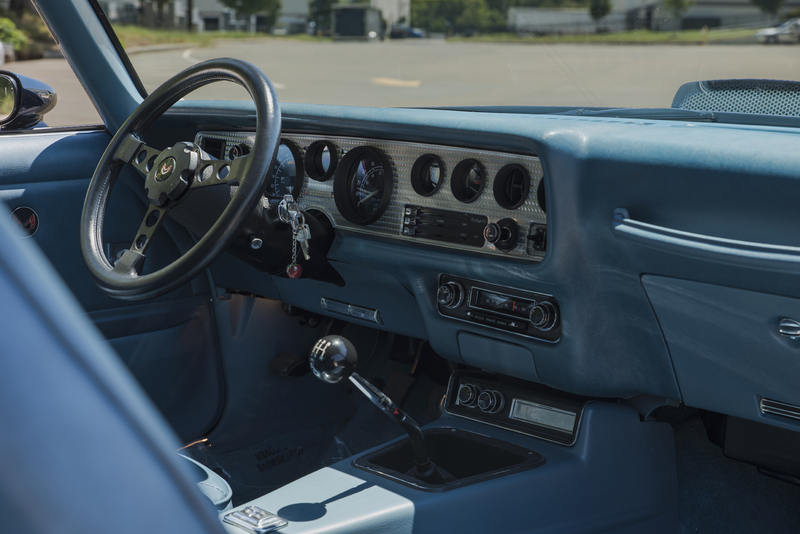 It’s a classic car that’s been upgraded to be easily enjoyed by almost anyone. By that definition, we think this build was a raging success. 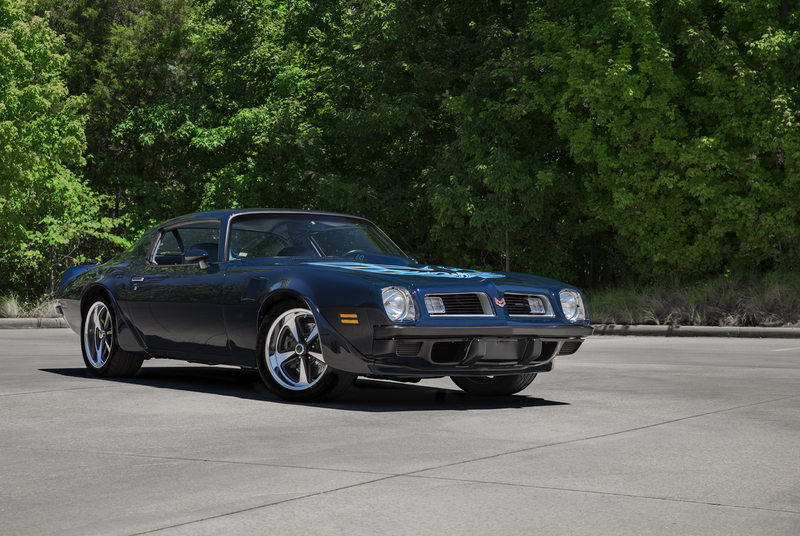 We wish the car’s owner many happy miles enjoying his Trans Am, and sharing it with those who enjoy the hobby!